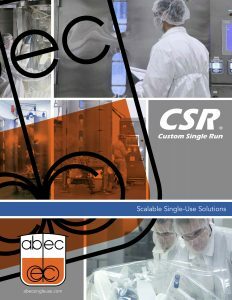 ABEC’s Custom Single Run (CSR®) product line is the new benchmark for single-use implementation. 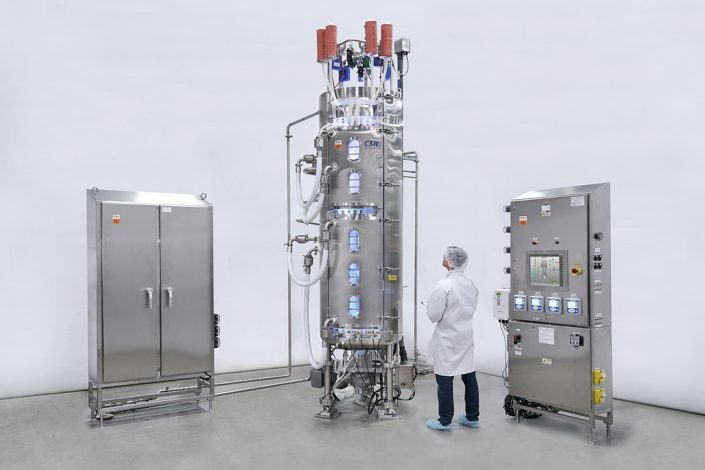 Leveraging our long experience in equipment design, customized approach, and exclusive focus on production scale bioprocessing, CSR technology sets new standards in single-use performance. ABEC is unique in the industry with the capability to provide fully customizable single-use and stainless steel process solutions with comparable performance. Similar to our approach for over 40 years with stainless steel systems, CSR systems can be designed to meet specific process, facility, and operational requirements. 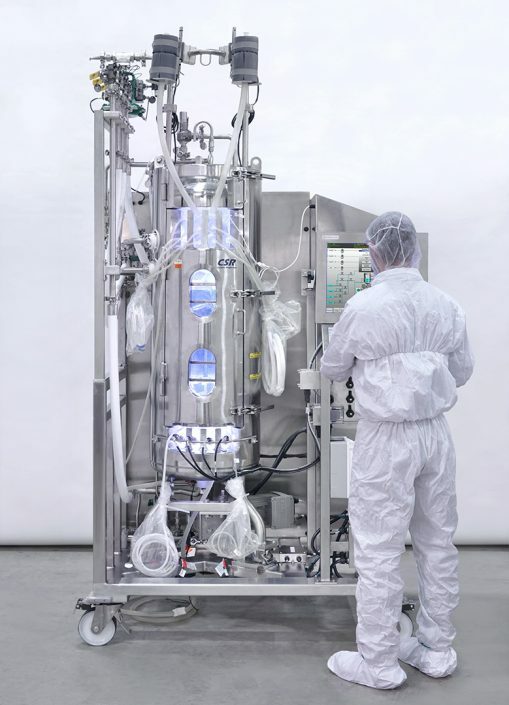 Mixing and mass transfer can be optimized for particular cell lines, equipment can be arranged to accommodate space constraints and utility access, and control systems can be adapted to seamlessly integrate into plant control architecture. The higher volume capacity of CSR better enables flexible multi-product operations, therefore supply demands can be met with fewer batches, maximizing manufacturing facility utilization. CSR is the only single-use solution to provide scientists and process engineers with the ability to adapt designs, accommodating user, process and material of construction requirements to provide solutions that seamlessly scale up/down; to/from existing processes. 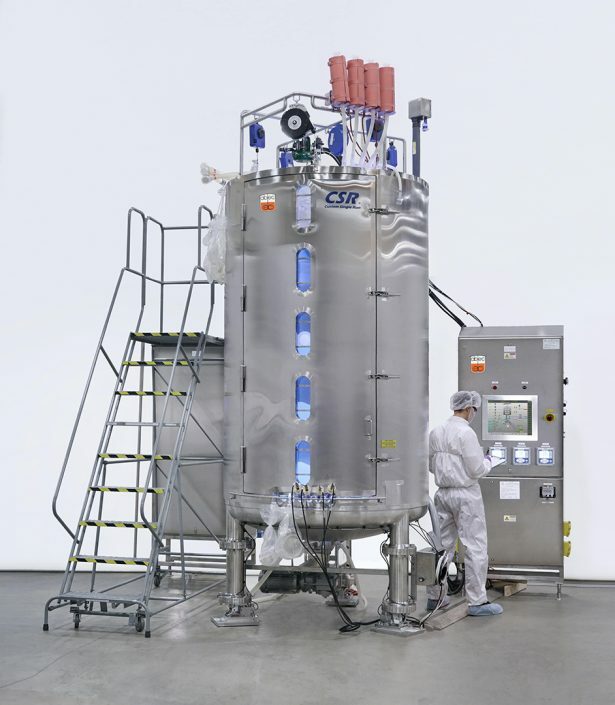 The CSR product line leads the industry with bioreactor volumes up to 4,000L Vw, fermenter volumes up to 1,000L Vw, and liquid mixing systems up to 5,000L Vw, delivering significantly more capacity per unit area of floor space; a key metric in high-value multi-product biopharmaceutical facilities. CSR brings true economy of scale to single-use processing. Capacity is doubled within a similar footprint to the 2,000L systems currently on the market. The economic benefit is significant, with total cost of goods sold (COGS) lowered due to increased productivity, while facility depreciation and labor costs are reduced. 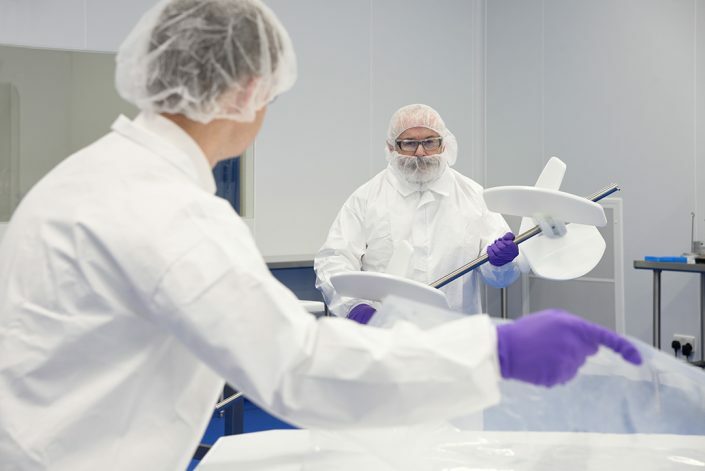 Implementing new product contact materials in a cGMP operation can create significant challenges related to sourcing, change management, quality assurance, and validation. The CSR product line meets those challenges by only using nonproprietary, commercially available raw materials, instruments, and components. Users can develop and manage their supply chain to standards that align with their requirements, rather than being forced into a single source of supply. The design and selection of materials used in the fabrication of the CSR disposable container is collaborative in order to leverage users existing material qualification and validation efforts. This strategy enables flexibility in component selection across different unit operations to minimize process, quality and supply chain risk. 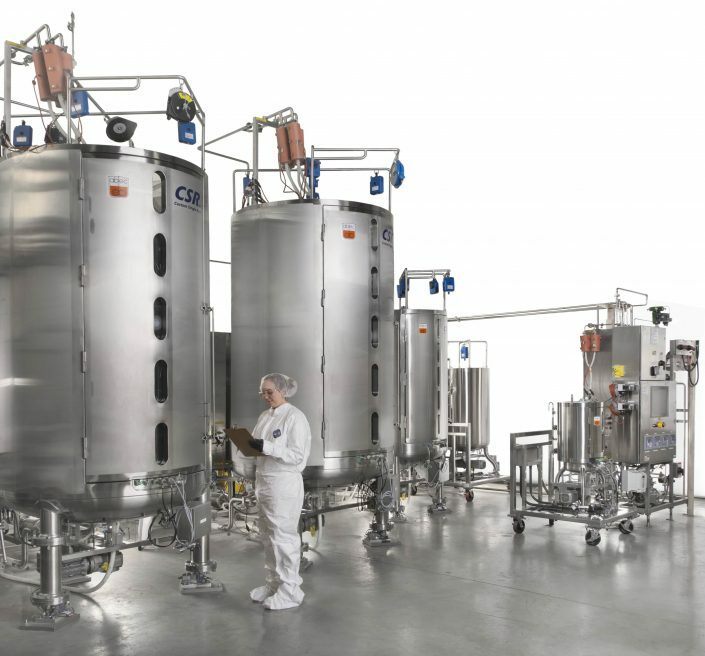 Clients are also able to significantly consolidate product contact materials used throughout the entire bioprocess to minimize inherent risks associated with raw material supply. 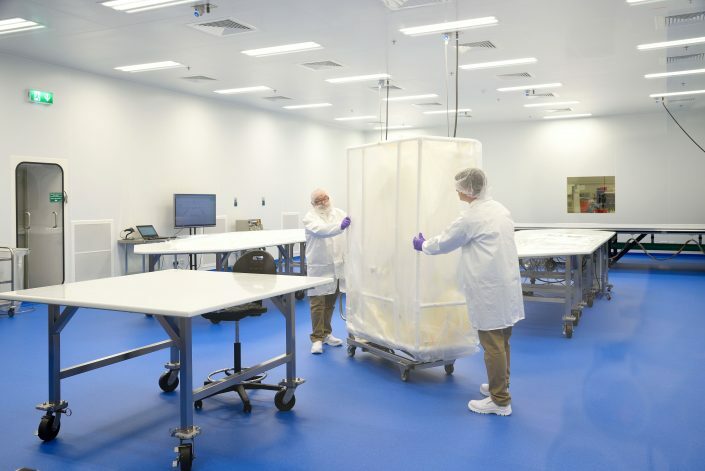 To further ensure a robust supply chain, ABEC has multi-site global ISO-7 cleanrooms to provide short disposable container lead times and redundancy of supply. All disposable containers are built with industry-proven product contact materials offering clients unprecedented transparency and control of the container and component supply chain, resulting in improved material management, quality assurance and change management. Reducing risk of container failure and minimizing system turnaround time are critical for a single-use manufacturing operation. The CSR product line features innovative, safe and ergonomic solutions for packaging and handling of disposable containers, no matter its size. Disposable containers are packaged to prevent mishandling that might adversely impact film integrity. Once the disposable container reaches the equipment, simple tools are used to assist installation; even the largest disposable container can be installed by one operator in less than an hour.